It’s true that comprehensive retirement planning is complex. But that is no reason to throw in the towel. Retirement planning can actually be very doable when done step by step. These 6 simple steps can assure a great start to retirement savings and are easy enough for anyone to follow without professional assistance. Spend less than you earn. Period. It will be hard to have any real monetary success until this skill is mastered. But aside money for an emergency, such as unemployment or unexpected medical bills (not for a home down payment, car repairs, Christmas vacation, etc etc etc). This account acts as a buffer, helps you to feel secure, and helps you avoid more consumer debt in an emergency. There are different recommendations on how much to save varying from 3 to 12 months worth of living expenses. Sit down and figure out how much it costs your family to live for 1 month and multiply that by at least 3 months or more. Now actual retirement savings may begin. Most employers offer a 401k plan to their employees. You can elect to withhold a certain percent of each paycheck to be put into your 401k. These contributions are income tax free. You can contribute up to $17,500 per person per year in 2013. 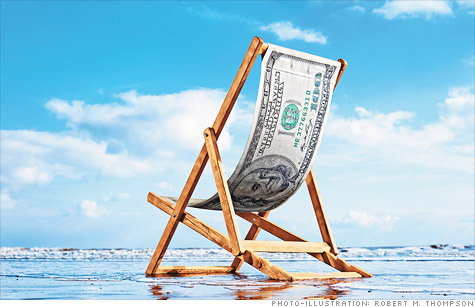 For those age 50 and older, the most is $23,000 per person per year. Many employers also contribute to employee’s 401k, most often determined by and in relation to how much the employee contributes. This is essentially extra money from your company! Contribute as much as needed in order to maximize the company’s contribution. If you are contributing the maximum amount possible to your 401k and still have more money to invest, you can also contribute to an IRA, another similar retirement account to a 401k. A traditional IRA is tax free and you may contribute up to $5,500 per person in 2013. For those age 50 and older, the most is $6,000 per person per year. At this point there is room for speculation on what to do with any available monies, but paying off your mortgage will eliminate one of your largest expenses, ensure you still have a home if your financial situation becomes rough, and provide you with an asset that will always have value.